Brexit could result in thousands of extra heart disease and stroke deaths in Britain as the cost of fresh fruit and veg soars, according to a study by medical researchers. Researchers at Imperial College London’s Public Health Policy Evaluation Unit said few studies have looked at the potential impact on the nation’s health of leaving the EU. The cost of imported fruit and veg is set to “rise significantly” if Brexit goes ahead, the researchers found. They calculated that a ‘no deal’ Brexit will be the “costliest and most harmful” of all scenarios, generating around 12,400 extra cardiovascular deaths over the next decade in England as fruit and vegetable intake drops. They say that many more people would die over the next decade if Britain presses ahead with Brexit because the UK is “heavily dependent” on fruit and veg imports. 84 per cent of fruit and almost half of our vegetables (48 per cent) were imported in 2017, according to the study published online by the journal BMJ Open. They used the IMPACT food policy model, which combines a variety of dietary, economic, and health figures to estimate the potential impacts of four different types of Brexit. The models were a free trade agreement with the EU and half of those countries outside Europe which have trade deals with the EU; free trade agreement with the EU only; no-deal Brexit with no preferential arrangements with any country and the need to fall back on the World Trade Organisation (WTO) rules; and a ‘liberalised trade regime’ whereby the UK trades under WTO rules, but doesn’t have any tariffs imposed on fruit and veg imports. The scenarios assumed an increase in trade tariffs and transaction costs – added costs for additional border checks – which Britain will have to pay on imported goods after Brexit. The researchers’ calculations showed that a no deal Brexit would lead to the greatest price hikes. For example, price would rise by almost 17 per cent for bananas, by over 14 per cent for citrus fruit, and by almost 15 per cent for tomatoes. 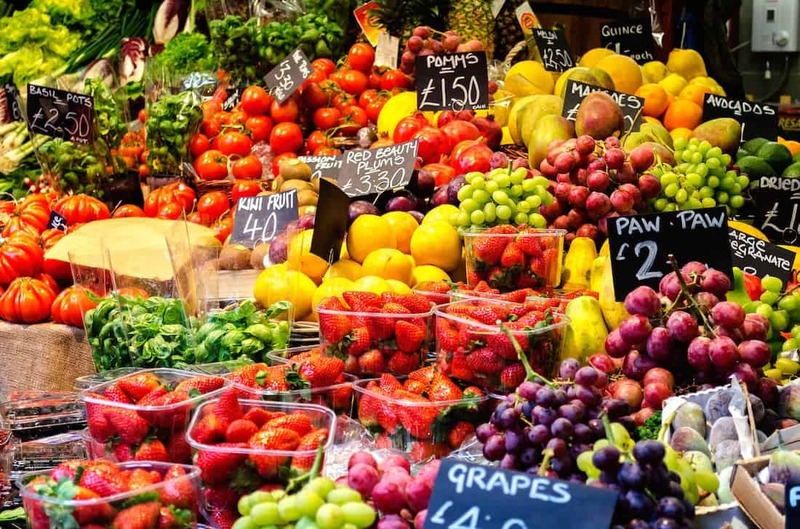 Fruit and veg intake, which is already below recommended levels for more than half of the UK population, would fall further still under each of the scenarios, according to the findings. A ‘no deal’ Brexit was associated with the greatest projected drop of around 11.4 per cent for fruit and just over nine per cent for vegetables. The number of associated deaths from heart disease and stroke would rise for every Brexit scenario, according to the study. But ‘no deal’ would be the most harmful, contributing an extra 12,400 deaths between 2021 and 2030, suggest the findings, equivalent to a rise of nearly two per cent. The findings echo those of other studies regarding price rises in a post-Brexit world. 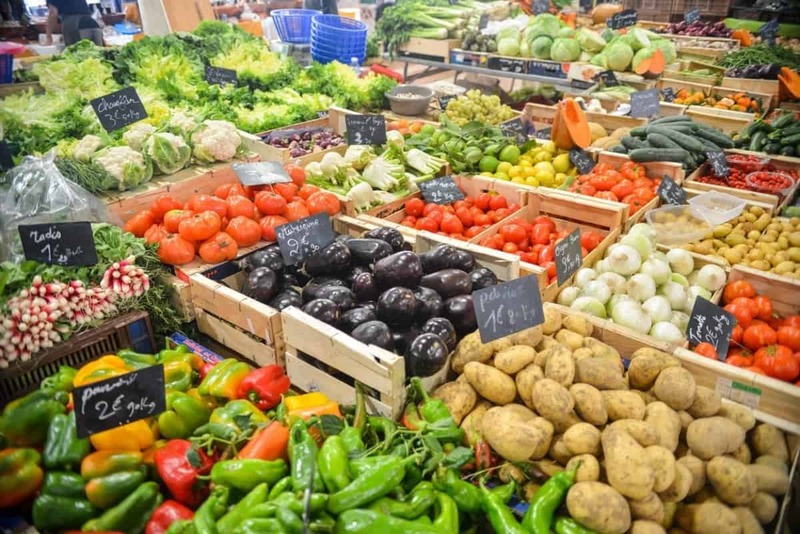 Yesterday Britain’s food retailers warned MPs that a no deal Brexit would affect the country’s food security with big price hikes and shortages of certain fresh food items. The food retailers warned that WTO high tariffs would make access to fresh produce higher and getting rid of tariffs altogether would cripple British farming. They also warned of the threat to British farming of stopping freedom of movement for the European workers many rely on. This a warning also made by the Imperial College study. Allowing for a potential annual increase of two per cent in home-grown fruit and veg production to counter more expensive imports did not substantially affect the estimates, according to the researchers. And they said there are likely to be other ramifications of Brexit for food production and consumption as, currently, around 80,000 seasonal workers, mostly from EU countries, harvest home-grown produce. Study co-author Dr Christopher Millet, of Imperial College London, said: “Without their free movement permitted under EU single market rules, the availability of fresh home-grown produce is likely to reduce, pushing up prices further. He warned: “Post-Brexit trade policy could increase price and decrease intake of fruit and vegetables, thus increasing mortality in England.